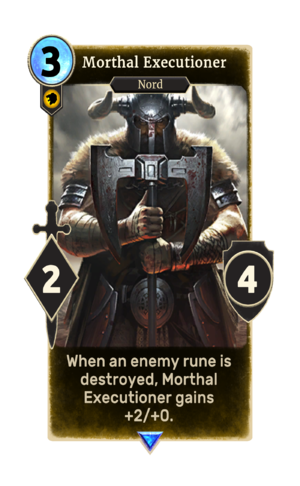 Morthal Executioner is a rare Willpower creature card. It is part of the Core Set. "My axe is sharp, and my patience is thin." This card's ability applies the Executioner's Swing card effect. This page was last modified on 15 February 2019, at 12:09.